Of course, a few months back, AtGames released early review units that exhibited notable performance issues, which were rightly called out. Fortunately, AtGames has used that time since to revamp overall performance, the user interface, and even the game list, adding in more Sega Master System and Game Gear games, and eliminating more of the generally unpopular Bonus Games. You can see the revised list here (and here’s a link to the original list for comparison). However tortured its journey, the end result is the type of product we all hoped it would be when first announced. In the box you get the console, two wireless controllers, AC power adapter, HDMI cable, and a folded poster that doubles as the instruction manual. 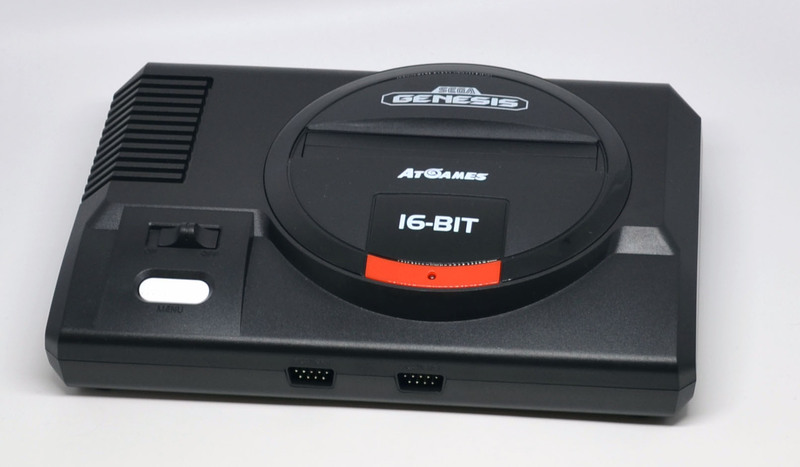 The console has its HDMI and AC power ports on the rear, and two wired controller ports on the front for wired controllers, which are sold separately by AtGames (you can also use original Genesis or Mega Drive controllers). 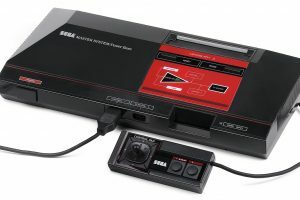 The console is modeled on the design of the original Sega Genesis console, but smaller and lighter, and losing the volume control and headphone jack. 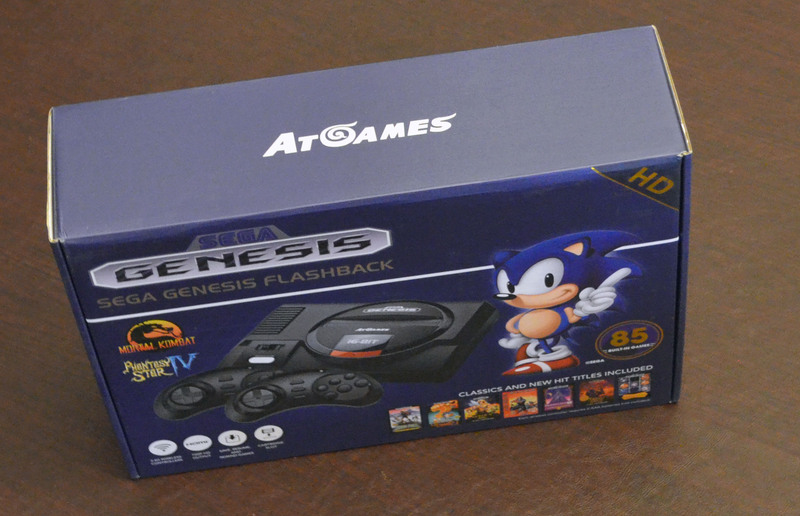 It’s attractive and a definite step up from previous AtGames’ Sega Genesis console designs. 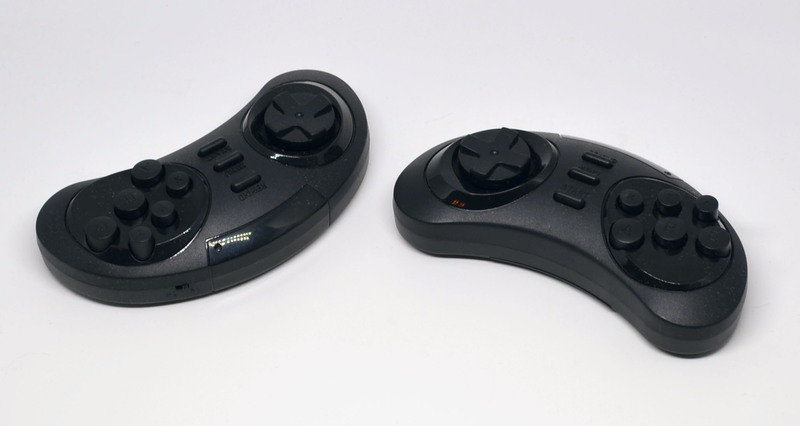 The controllers are modeled after the later six button originals, although a bit thicker to accommodate the wireless technology. While some may lament not recreating the original three button controller, the six button controller provides greater versatility with later generation games. Each wireless controller has a switch to make it either a player one or player two controller and has buttons for START, MENU, and REWIND, in addition to A, B, C, X, Y, and Z. The required two AAA batteries for each controller are not included. 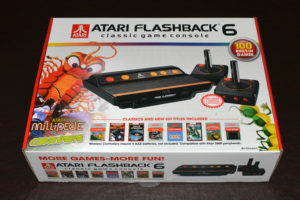 Ability to rewind in any game for up to seven (7) seconds and resume at any point therein. Think of it as a way to re-do a bad move or two. Each game has up to 10 save slots available and can be resumed at any time. Think of these as save states, creating a snapshot of exactly where you are in a particular game (it even works with cartridges!). 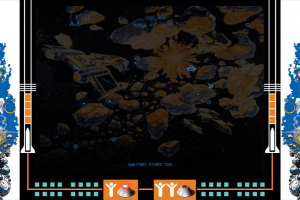 Ability to add scanlines to a game via the in-game pop-up menu. This is a display effect that simulates how these old games look when played on vintage CRT (tube-based) TVs and may make the visuals more appealing on a modern display. While this may not count as a “feature” per se, AtGames chose to provide a simple screen border/frame to go along with an accurate display ratio for the included Game Gear games. This is a great approach because the portable’s screen resolution was only 160 x 144 pixels and can present a challenge when viewing at an HD resolution of 1280 x 720! As with most clone systems, as well as Sega’s own Genesis 3 and Nomad systems, cartridge compatibility is not 100%. Games like Virtua Racing or high profile homebrews like Pier Solar, won’t run. And since each game is dumped to memory, flash cartridges won’t work either, nor do Sega Master System or Game Gear cartridges, even with an adapter. Nevertheless, despite the finicky nature of 20-year-old cartridges and the occasional emulation issue, greater than 90% of the Sega Genesis game cartridge library should still work without issue. Since a cartridge’s contents are loaded into memory each time it’s inserted, cartridges with save game support have that feature disabled. Instead, you’ll have to use one of the Flashback’s allocation of onboard save state slots that are dedicated specifically to cartridge games. This is a minor inconvenience at best, since so few games had built-in save features, plus you’re gaining a save state option for games that never had anything like that in the first place. As you can tell from the videos, there are no notable performance or other issues. Everything looks and sounds very close to the original console, although support for all speech samples on select Sega Master System and Game Gear games, and extended FM Sound on the Sega Master System games that support it is not present due to the more basic emulation utilized for those platforms. When played in person, there is no noticeable lag from either the HDMI connection or from the wireless controllers. 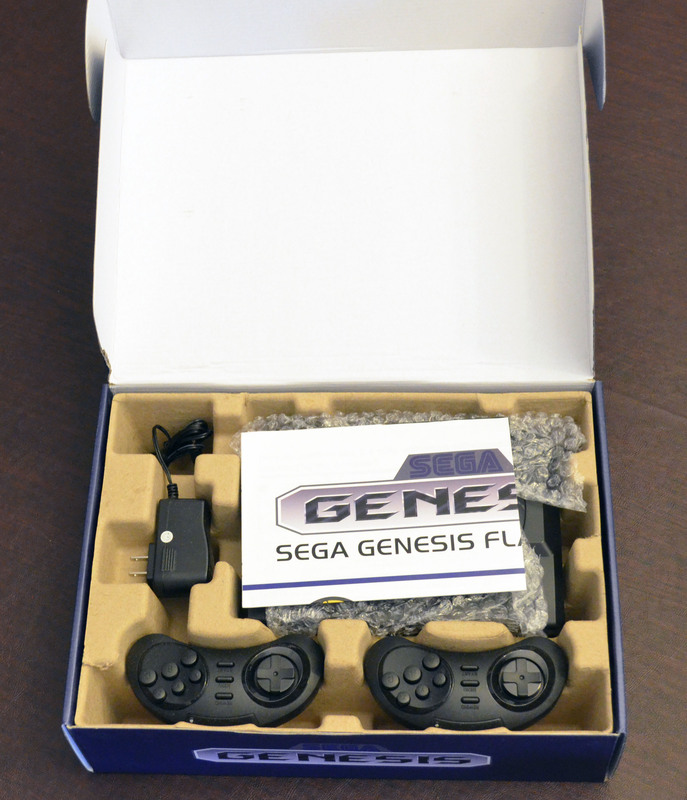 AtGames finally delivers the type of modern Sega Genesis console fans have been craving. The future of this console series looks bright. Thanks to AtGames for providing the review unit. 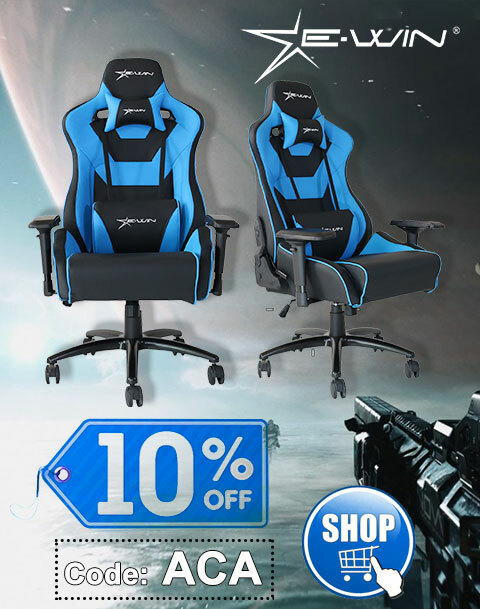 DISCLOSURE STATEMENT: I advise AtGames as an Independent Contractor. I provided design and other feedback, as well as documentation, user interface support, and testing throughout this product's development. Opinions expressed in this review are solely my own, with no external approval. Did the Atari 7800 Pro System beat the Sega Master System in the US? 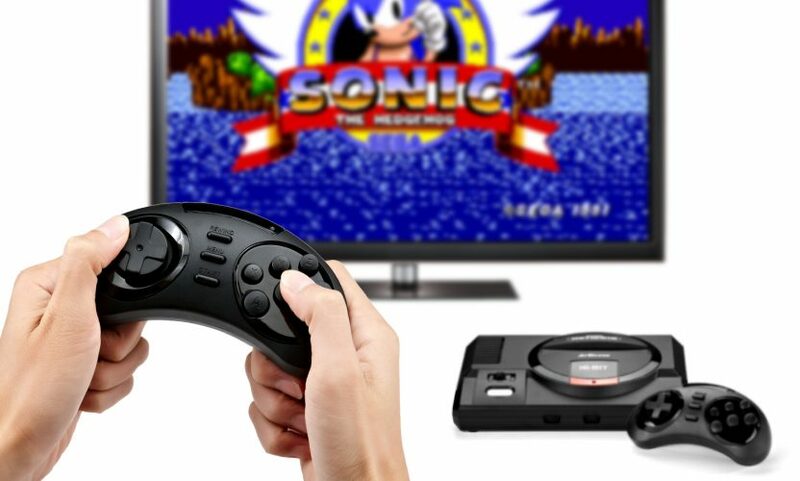 Not bad, but Sega should make an official Mega Drive Mini taking the SNES Mini as reference. I’m sure this console feels cheap. The gamepads work with AA batteries, to start with. They should also be bluetooth. This trumps the SNES Mini in some ways, and the SNES Mini trumps this in others. Certainly the SNES Mini should have wireless controllers like these, and it of course doesn’t include a cartridge port. I personally consider the battery option a plus, as it’s not something you need to worry about keeping charged (unless you use your own rechargeables), and the rated battery life is actually pretty extreme versus what you’d get with a typical rechargeable pad. It’s not available to license, unfortunately. sega genesis Classic game console compatible with the SEGA Master System adapter? It does not support it. No, but you can add it via cartridge.